Spain, the country of fiestas and festivals! Every village, no matter how small, has their own, unique celebrations. But which ones are not to be missed this year? We've listed the 13 best events of 2019! Are you ready to celebrate your holiday the Spanish way? The Holy Week, which takes place during Easter, is an entire week filled with processions and other religious celebrations. Even if you are not a religious person in any way, it's an event that you should visit at least once, the most impressive festivities are always expected during the Semana Santa in Seville and the Holy Week in Malaga. The brotherhoods of the most important churches spend months in advance practising their processions, resulting in a solemn and awe-inspiring experience. Dozens of men and women march through the streets, carrying the statue of their church's patron saint, flanked by hundreds of candles. 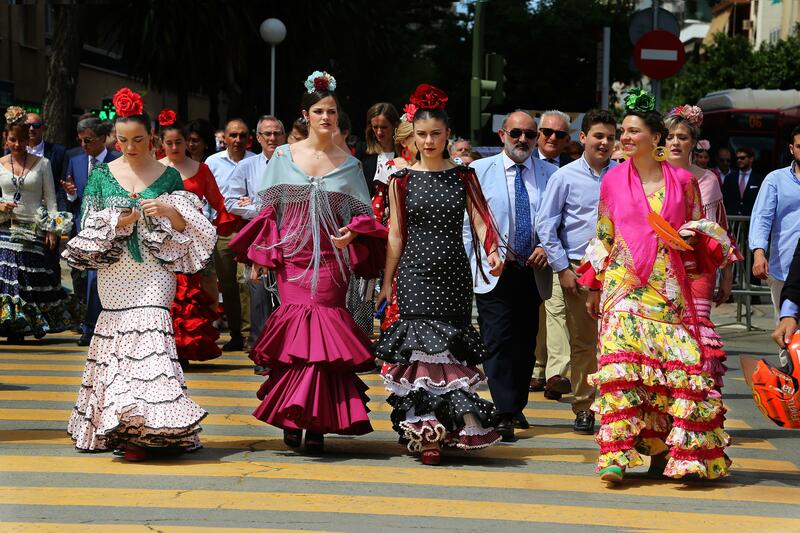 This event, though it may sound strange, is one of the top events for everyone in Spain: entire families bring chairs and snacks, and they settle on the sidewalk to witness the impressive processions. Let's forget the solemnity for a bit and have fun! 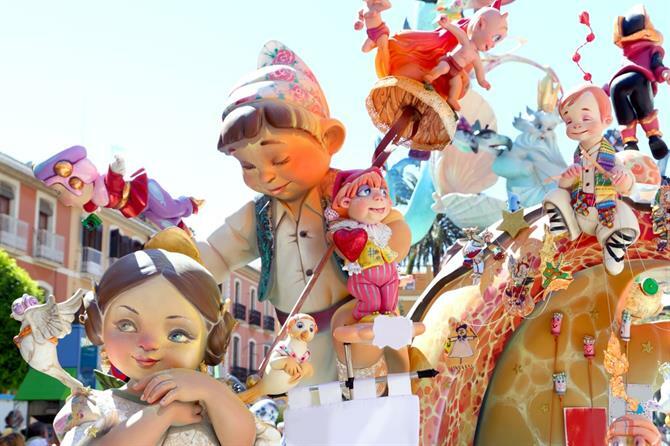 Colourful and rhythmic carnival is the most extravagant party in all of Spain, but the celebrations in Tenerife and Cadiz take the crown. 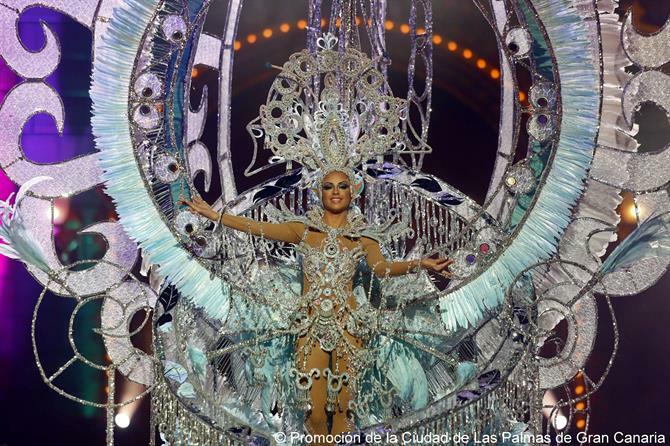 In Tenerife, the carnival capital of Europe, they dedicate the entire month of February to carnival celebrations. The island is filled with fun, colour, glitter and glamour, and the numerous contests, parades and parties offer plenty of entertainment. It's an event that attracts visitors from all over the world who are looking for an authentic carnival experience. Imagine a carnival with an authentic Andalusian spirit... That's the carnival of Cadiz, a party that converts the city into a place pulsing with music, energy and fun. Don't miss out on this unique fiesta, celebrated every year in February. Ever felt like throwing a tomato to someone? 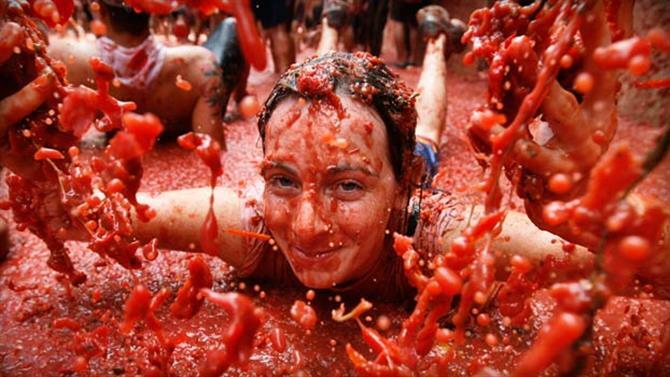 At the Tomatina in Buñol you can! 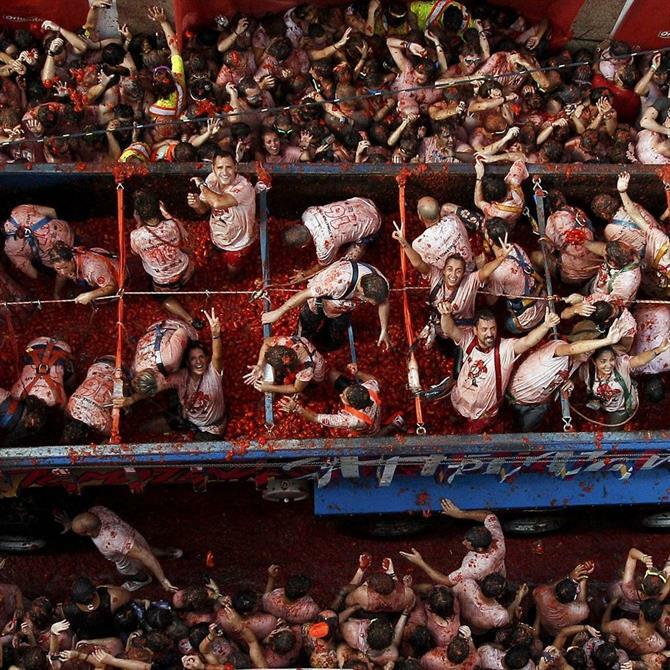 This crazy tradition started 70 years ago, and now on every last Wednesday of August, thousands of people throw tomatoes at each other during the most fun event of the year. The festival brings joy, music and a huge amount of tourists to Cordoba, who want to participate in this amazing colourful fair. 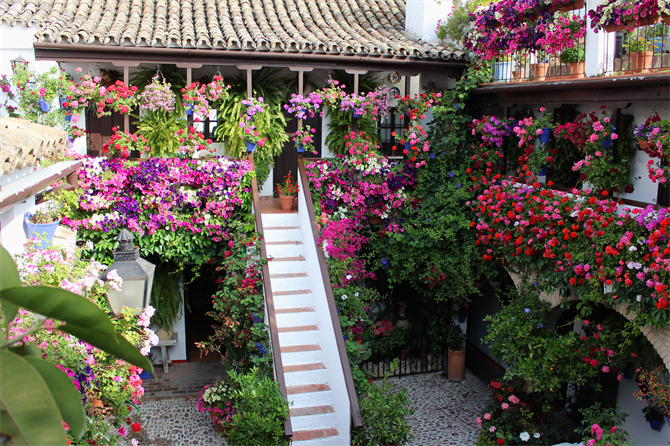 It’s not just plant lovers that will enjoy their time in this city, Cordoba is known for its great food, very interesting history and numerous places where you can feel the traditional Andalusian atmosphere. One of the most amazing events taking place in 2019 is without a doubt the wonderful Feria de Abril which actually starts on the 4th of May this year. 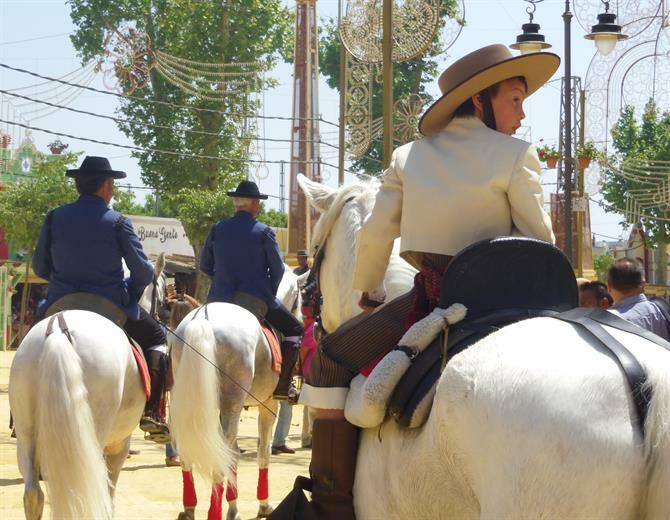 The fair starts with the traditional lighting of the entrance to the fairgrounds at midnight, and for the following week, the city is filled with entertainment, colours, and the best of Andalusian art such as flamenco. 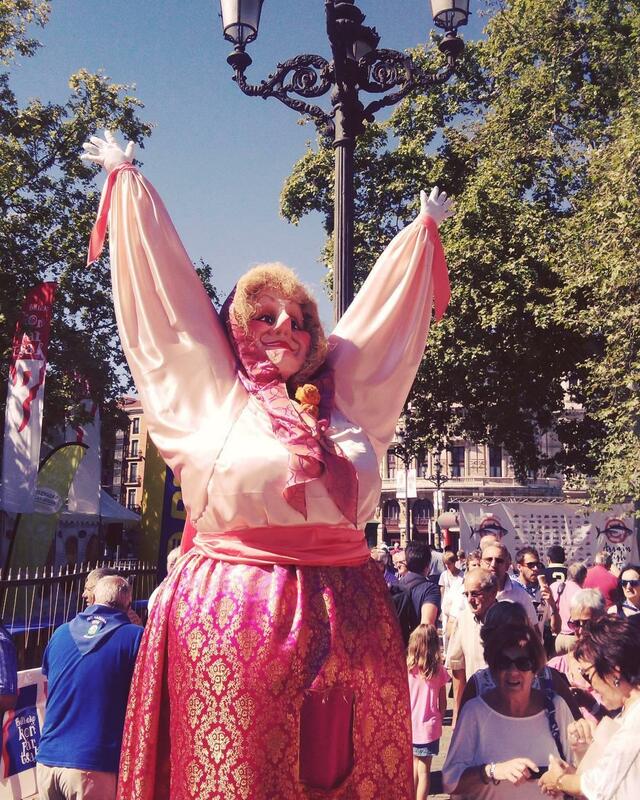 The August Fair of Malaga is an entire week full of fun activities and events at the heart of the Costa del Sol. It's the best place and time of year to relax and enjoy a great holiday. The fair of Malaga is one the best events of the summer. 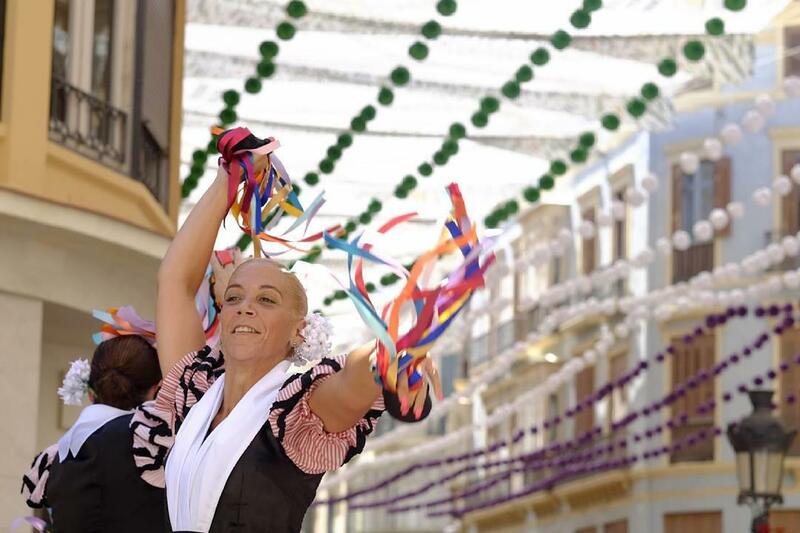 Mid-August, the city centre will host the feria de dia (fair during the day), the more traditional part with street markets, music and traditional dances. The feria de noche (fair during the night) takes place just outside the city, with attractions, food stalls and dance tents. 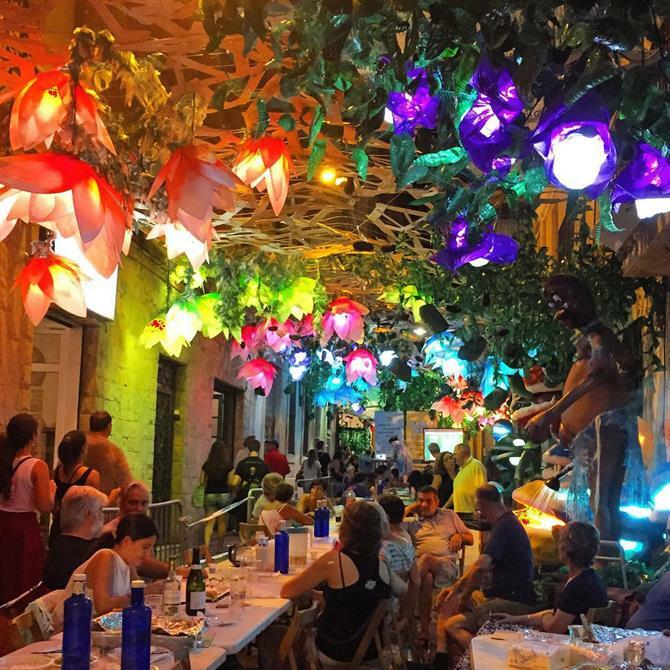 During summer, every neighbourhood of Barcelona celebrates its own typical parties, but none are as special, fun and creative as the Fiestas de Gracia in August. The emblematic Gracia neighbourhood is transformed into a spectacular place, filled with art and colour. Its streets compete with each other to win first price for the best and most extravagant decoration, while offering visitors and passers-by a truly magnificent scenery. With every corner you turn you will be transported to a different world. And if the decoration on its own is not enough, at the Fiestas de Gracia you can also enjoy street acrobats, correfocs (a fireworks spectacle), exhibitions, parades, street markets... And at night the fun continues with the many concerts that are held at the squares of Gracia. There is one night in Spain that is very special to everyone: the night of June 23rd, Saint John's Eve. It marks the start of summer, and it's celebrated at the beach with bonfires and fireworks. It's a magical night filled with old customs and superstition. Many people will jump over the fires and in the waves at midnight, believing it will bring them good luck. In some parts of Spain, like Galicia, food is also an important element, especially sardines cooked in the ashes of the bonfires. In other places like Barcelona and Valencia, everyone will be looking for a vantage point to have a good view of the spectacular fireworks shows at midnight. 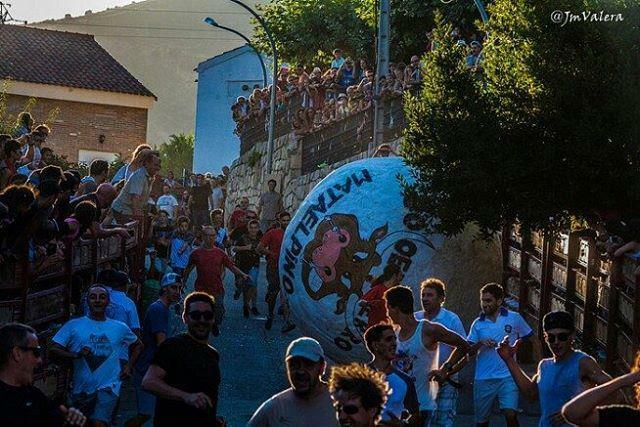 Imagine running as fast as you can while trying to escape a giant ball of 3 metres in diameter with a weight of more than 150 kg... That is what happens every August in Mataelpino, a village in the Sierra de Guadarrama. The village decided to replace the traditional encierro (running with bulls) with this boloencierro, where the protagonist is a big, plastic ball. Even children can enjoy their own mini boloencierro, with smaller and lighter balls that are painted in bright colours to make them more visible. Are you ready to get an adrenaline rush? 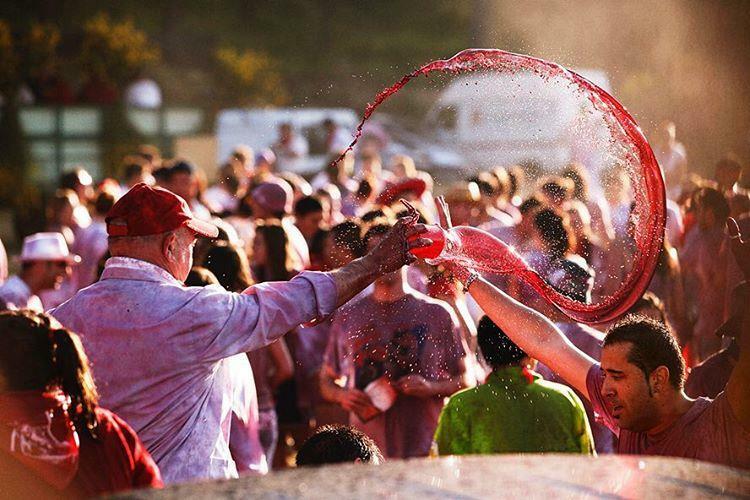 On every 29th of June, early in the morning more than 10,000 people gather in the main square of Haro (La Rioja) for the coolest event of the town: the wine battle! The uniform for the battle is the typical clothes of La Rioja, white shirt and trousers with a red handkerchief tied around the neck. But when the rocket that marks the start of the battle is fired, there won't be anyone who can keep their clothes clean! Wine is thrown everywhere and the entire town is coloured red. There are 40,000 litres of wine reserved for the festival, and until every single drop has been thrown the band doesn't stop playing. Fun is guaranteed at this messy, hilarious event! In the middle of August, Bilbao gets ready for its most important event of the year, the Aste Nagusis or Semana Grande. This festival lasts for 9 days, with concerts, fairs, theatre performances and plenty of other entertainment taking place all over the city. One of the highlights are the fireworks competitions that illuminate the sky every night. The last day of the festival, there won't be any fireworks. 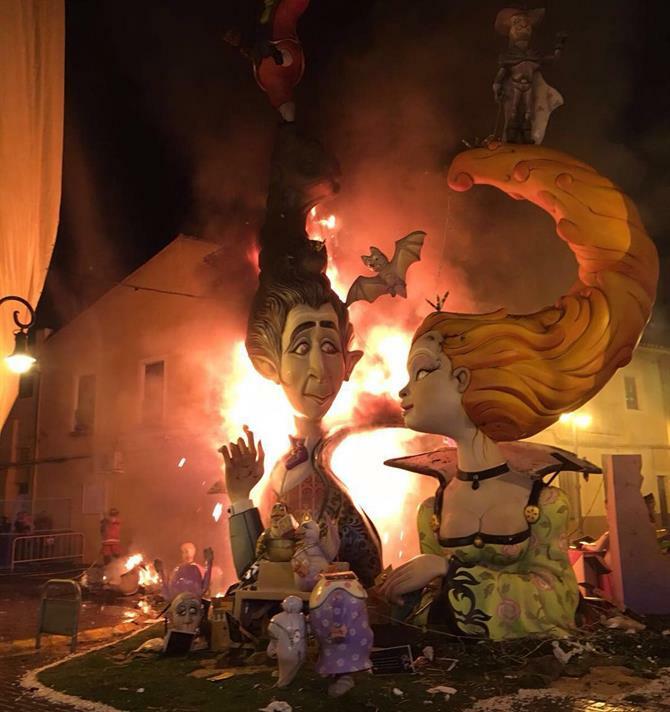 The closing ceremony takes centre stage instead, when la Marijaia (the mascot of the Semana Grande) floats downriver on a boat and is set on fire, only to return when the next edition takes place. 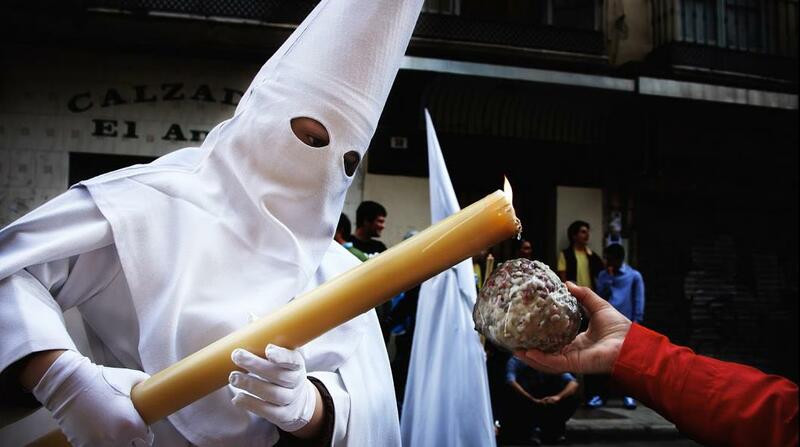 Spain has festivals for all preferences, from solemn rituals to wacky celebrations! We´ve just included 13 of the very best events, but there are many more to be discovered. Spanish cuisine's rated one of the world's best. Discover ten of the foods the locals love to tuck into. Forget your English breakfasts, go native.